Adjustable, Comfortable- Seat and seat back are fully adjustable for a comfortable workout. 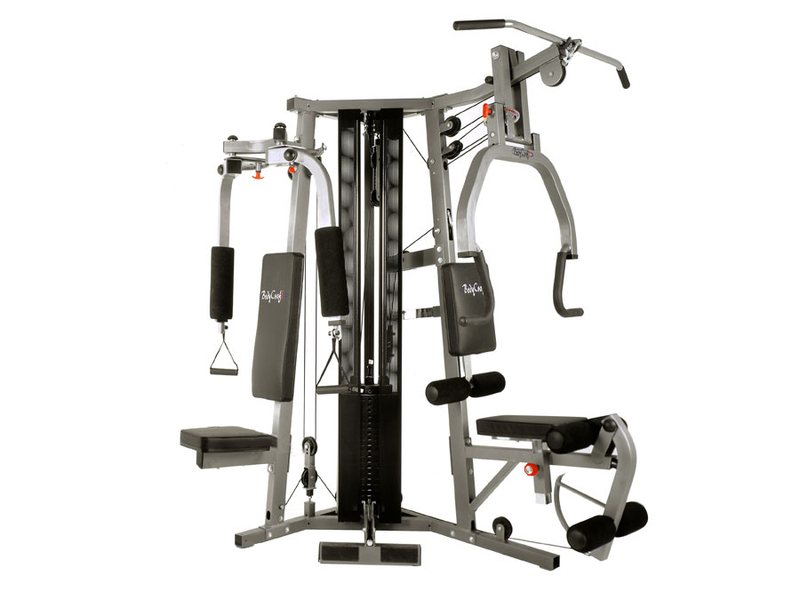 Press / Pull Station with Adjustable Starting Point- Allows different size users and also provides a variety of exercises including Bench Press, Incline Press, Shoulder Press and Mid Row. Rugged- Built to last a lifetime using heavy 2” X 3” and 2” X 2” steel tubing, 7X 19 strand 2000lb. tensile strength aircraft cable, and fiberglass reinforced nylon pulleys with sealed bearings. Leg Press- Unique design for overall leg development and maximum comfort, provides up to 300 lbs. of resistance. Low Pulley Station- Easy to access and plenty of room for exercises such as leg kicks, arm curls, low rows, deltoid raises, and more. Dual-Function Pec Dec- The only Pec Dec made that provides traditional flys and dumbbell style flys. Weight Stack Shrouds- Provide safety and beauty. Attractive, noise dampening perforated steel shrouds with a black powder coat finish, which cover the precision-milled 200 pound weight stack. *Note: Most of the sites, stores or shopping portals listed above sell BodyCraft Galena Pro Strength Training System with discounts and other exciting offers. There is a possibility that the some of above websites are not selling BodyCraft Galena Pro Strength Training System now. Toughtrain.com is not liable for such cases or instances. Also we do not recommend any seller for BodyCraft Galena Pro Strength Training System and a buyer should buy from where he/she gets best deal with quality of products, service and on time delivery (shipment).